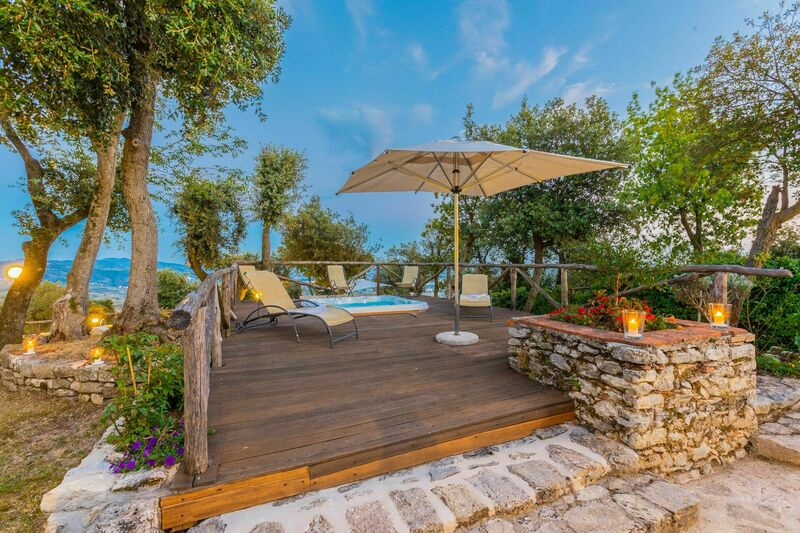 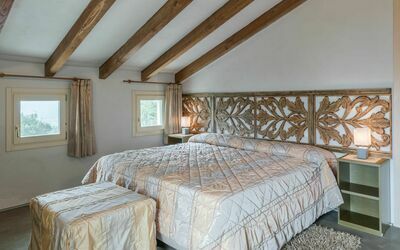 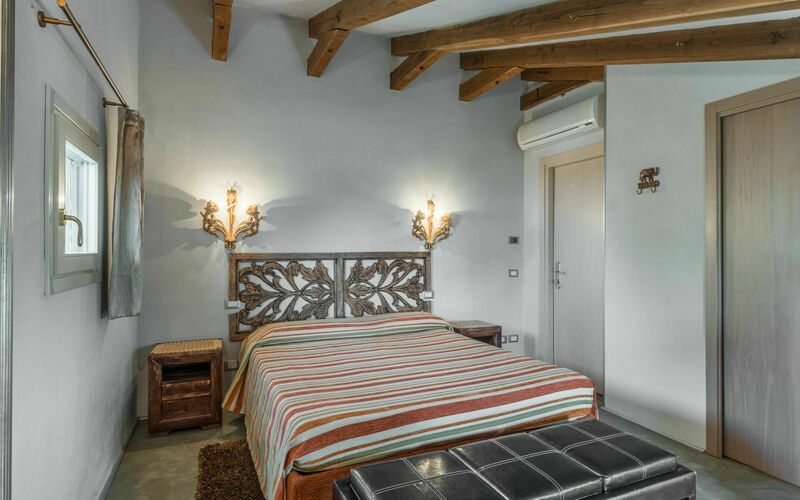 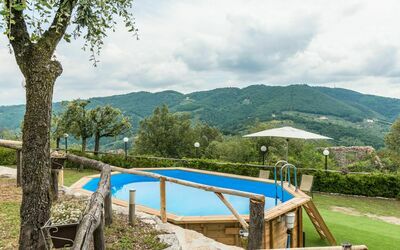 Villa Del Santo Bastiano is a lovely vacation rental (220 sq m) with private pool, WiFi internet and hot tub. 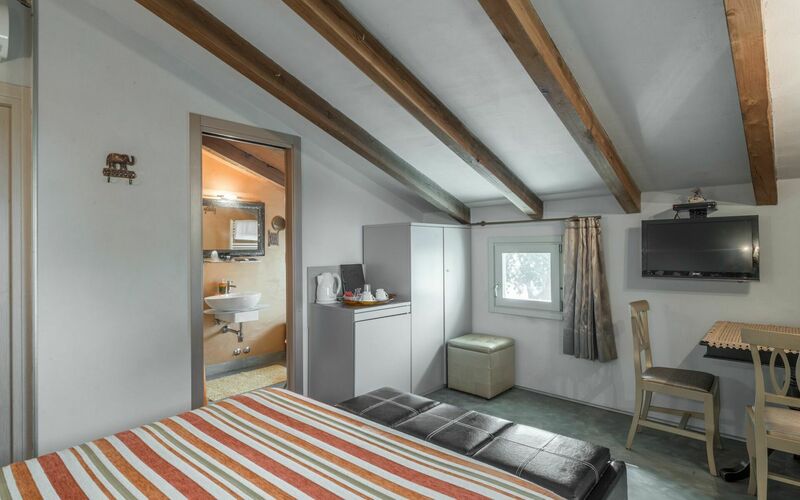 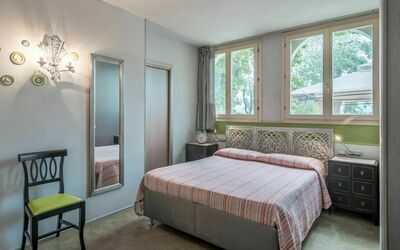 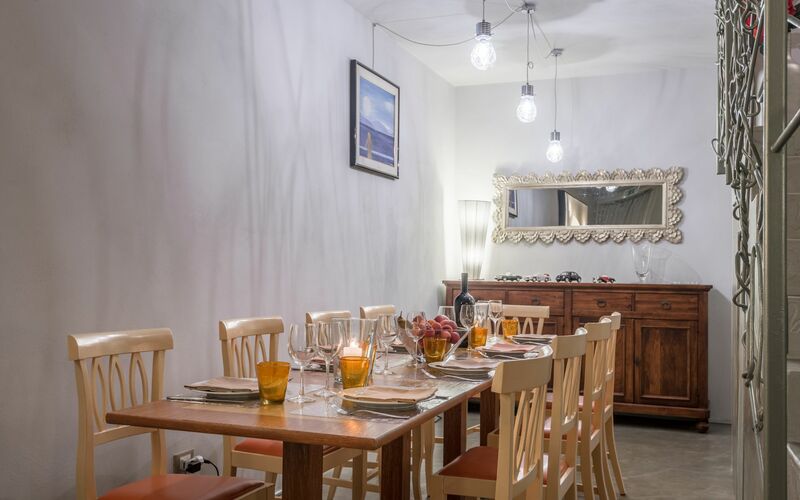 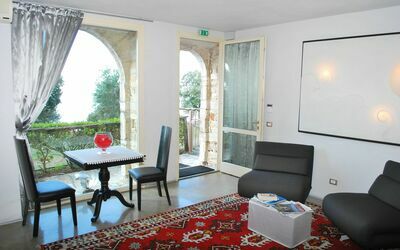 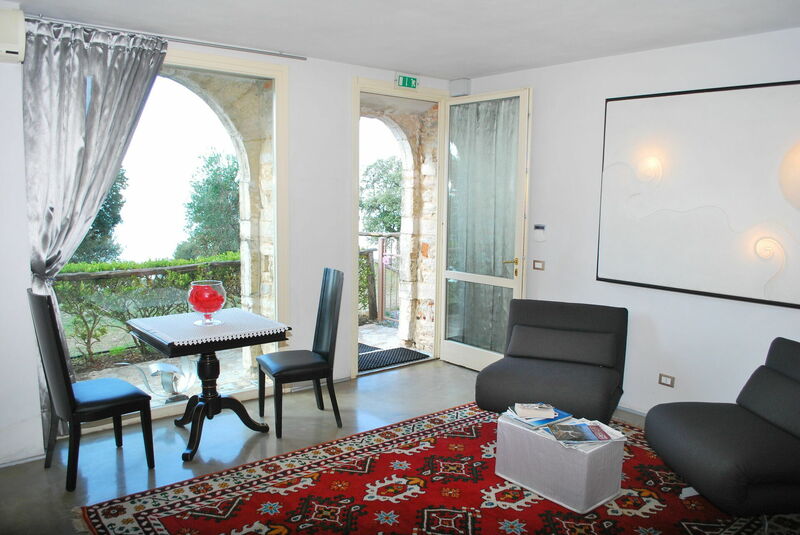 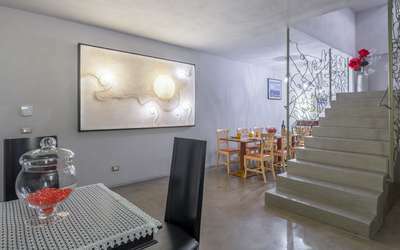 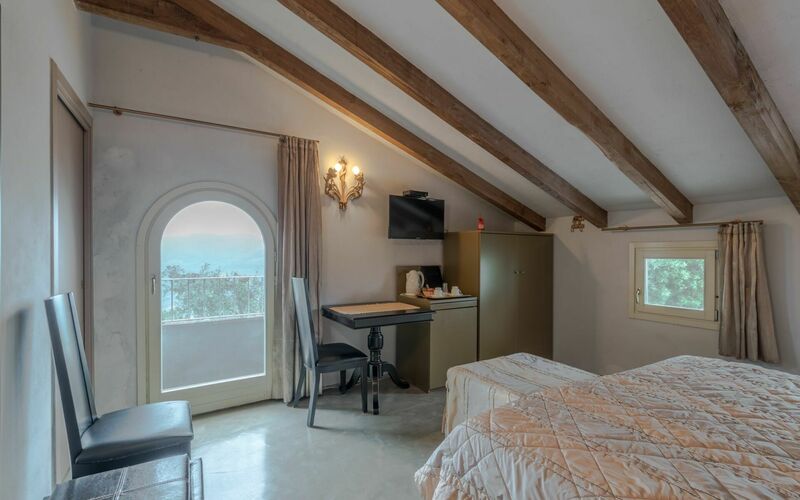 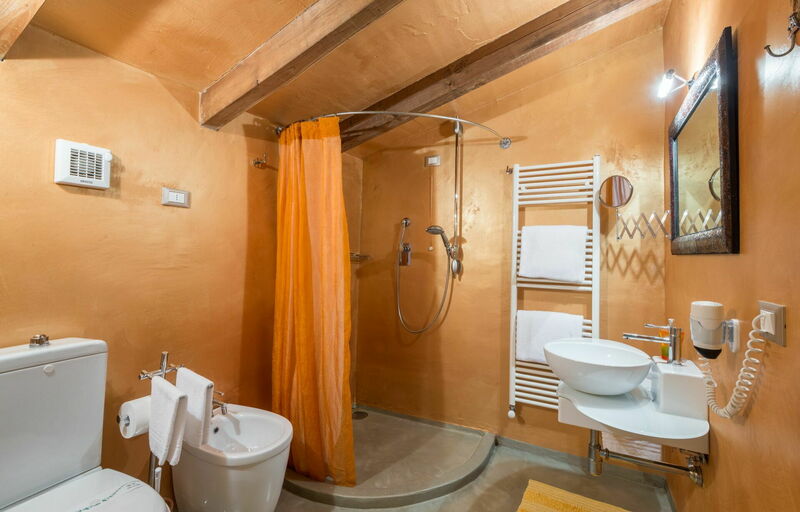 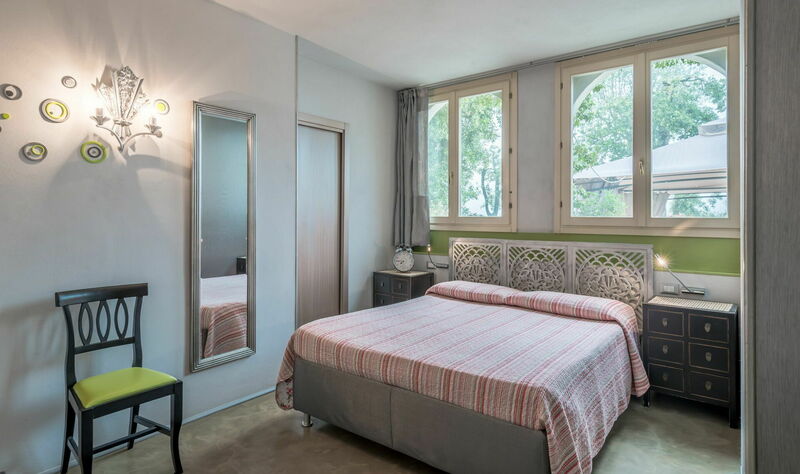 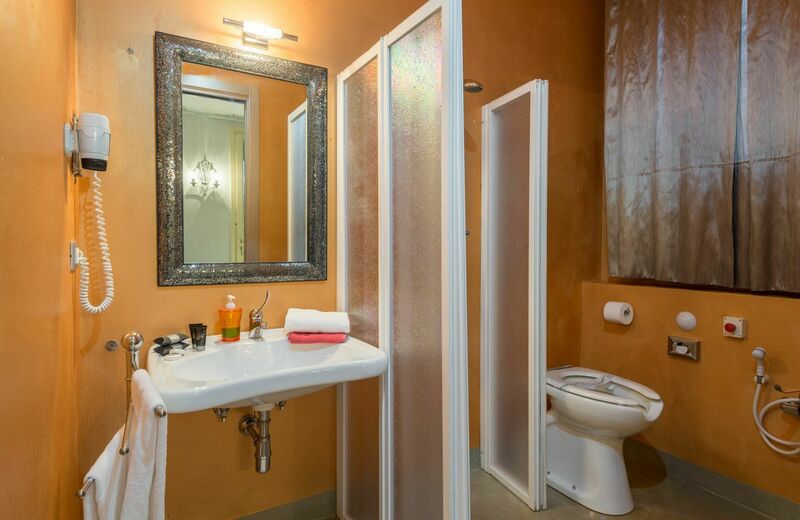 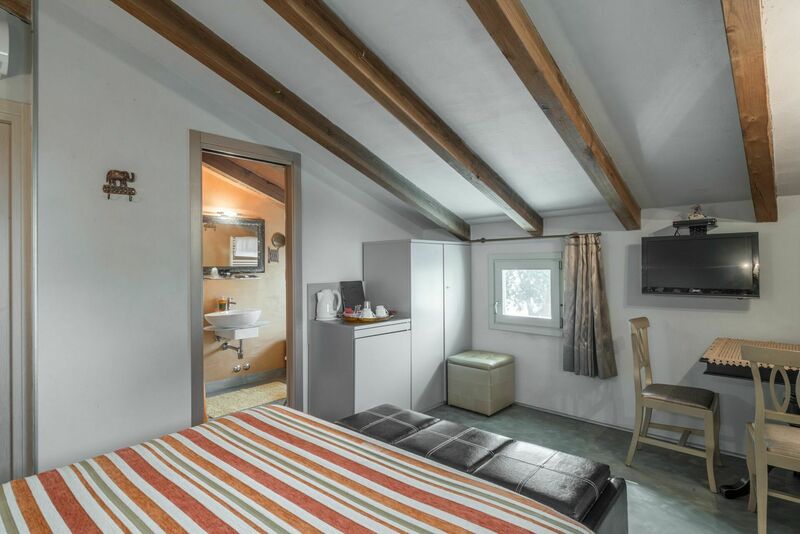 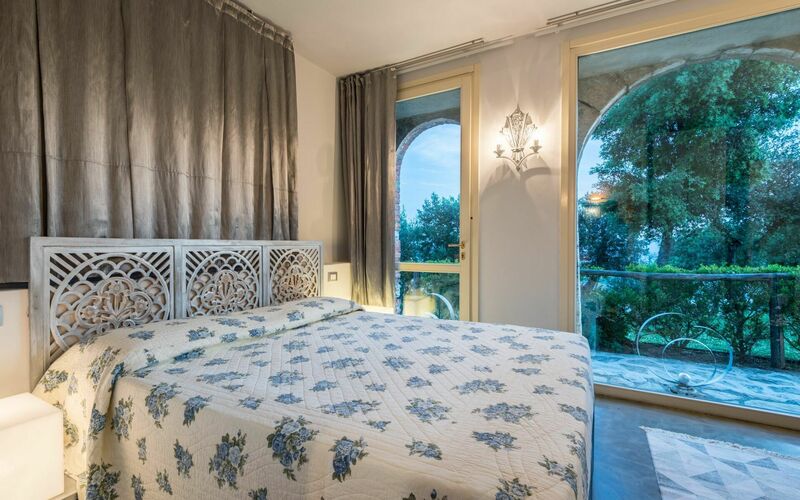 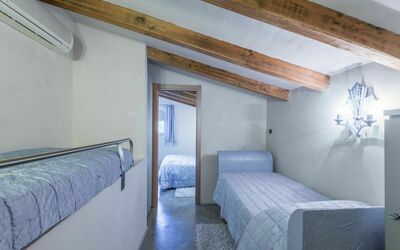 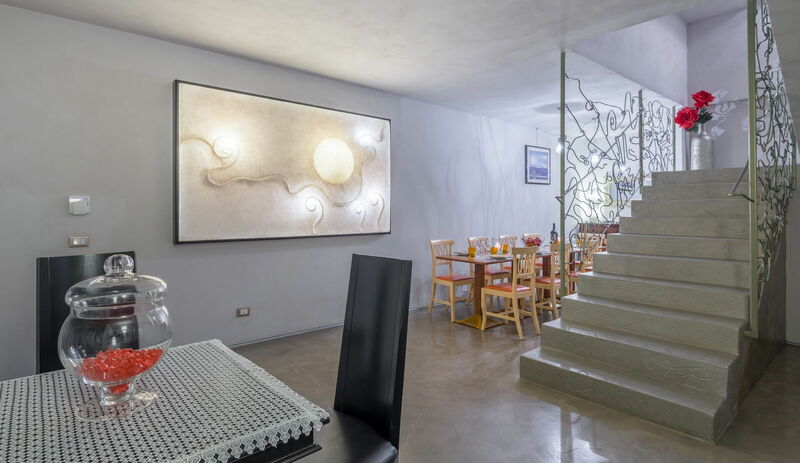 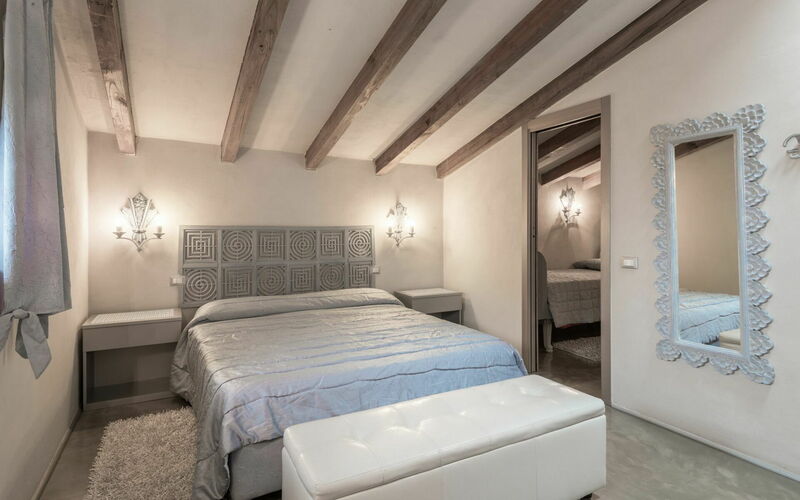 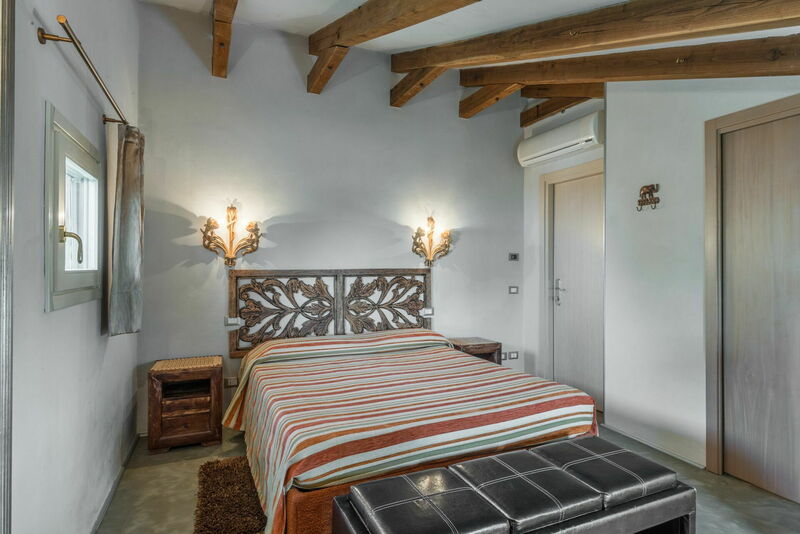 The property can accommodate up to 14 guests comfortably in five bedrooms with five bathrooms. 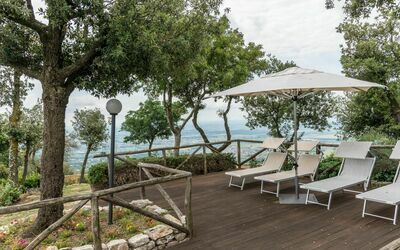 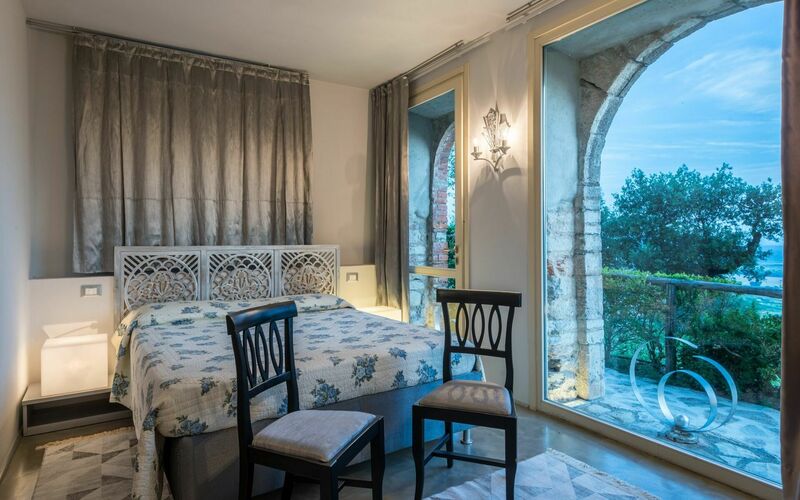 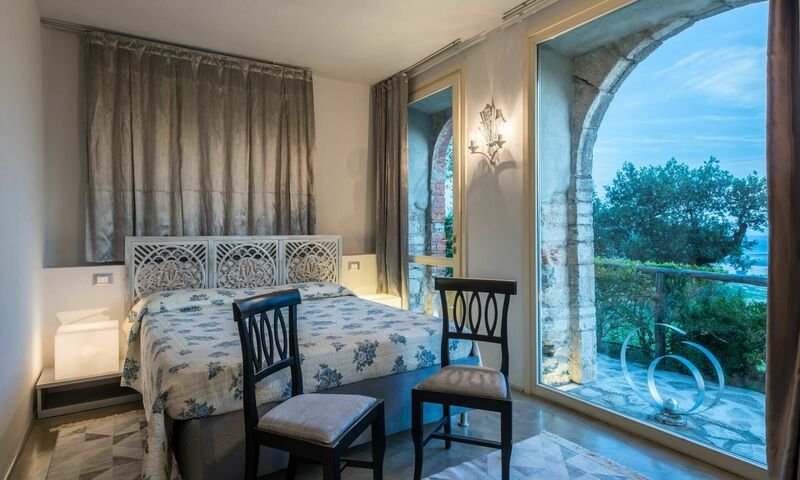 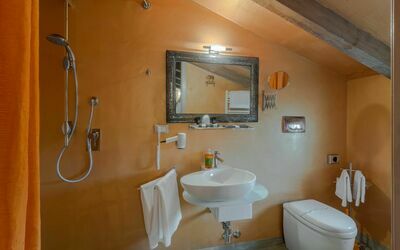 Villa Del Santo Bastiano is located in Monsummano Terme, Italy in the tourist area "Lucca And Surroundings". 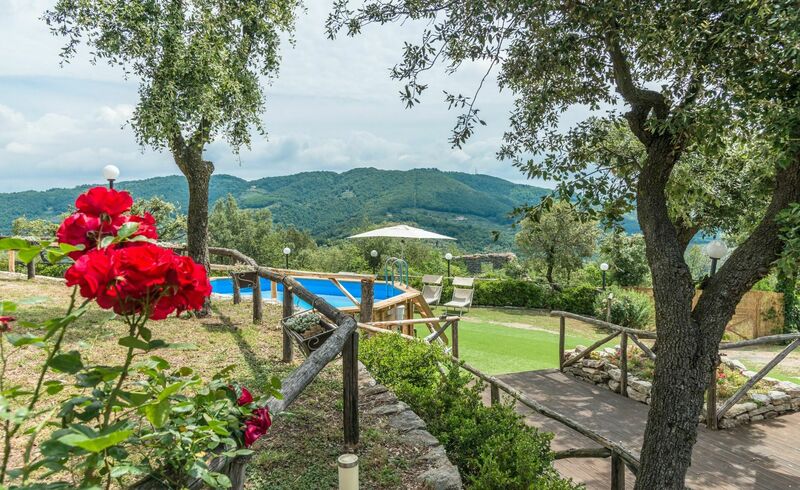 If you enjoy a round of golf while on holiday, then you will be happy to know there is a golf course nearby. In nearby towns there are local shops where you can find fresh produce and other items, but if you need a larger shopping center there is one located only 6 km (3 mi) from the property where you can purchase groceries and essentials. 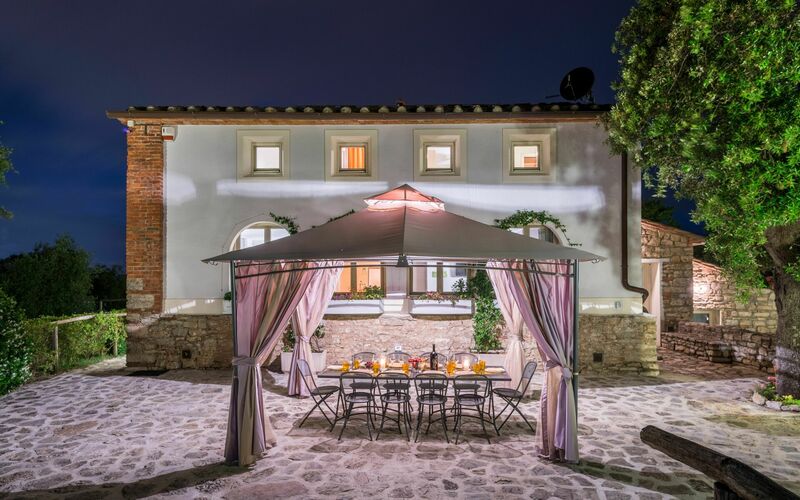 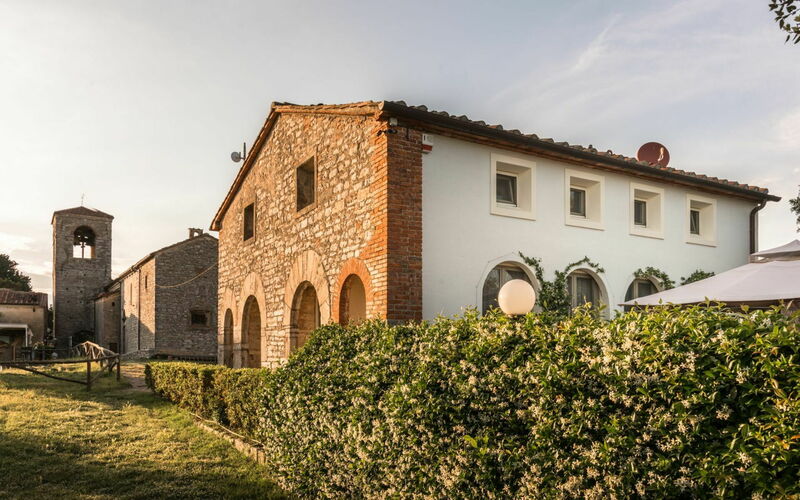 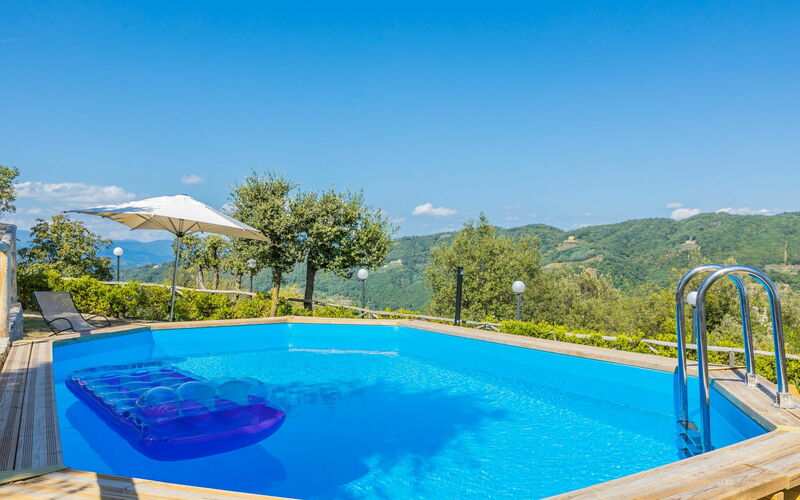 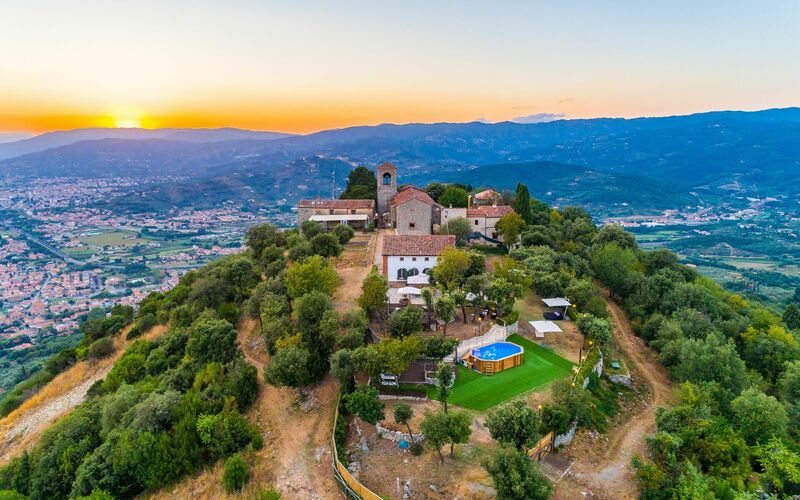 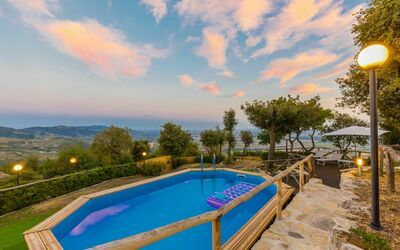 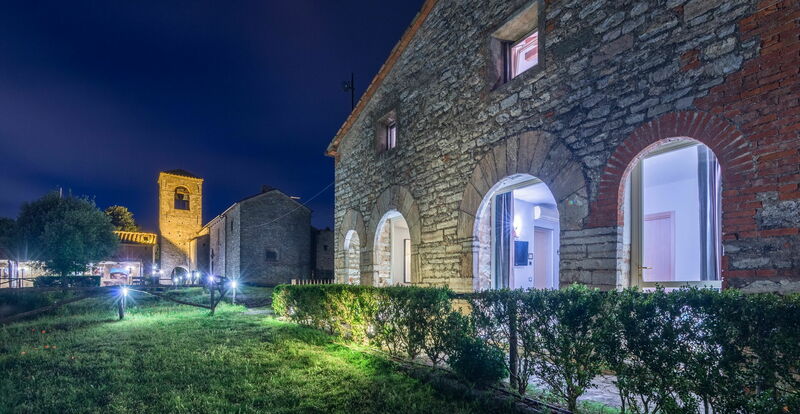 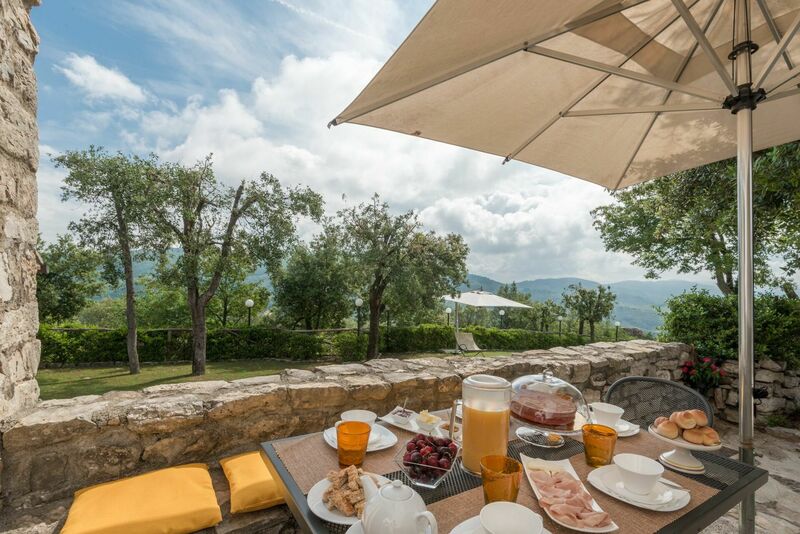 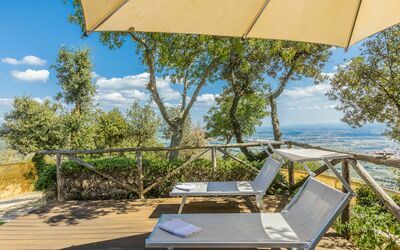 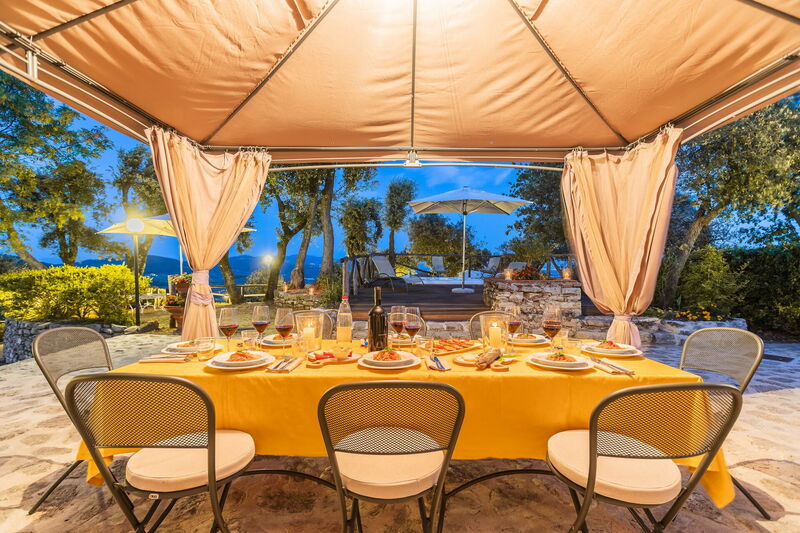 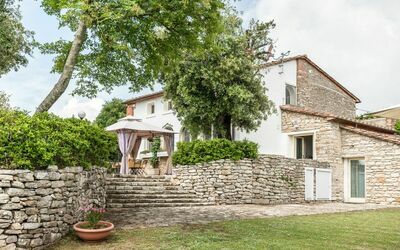 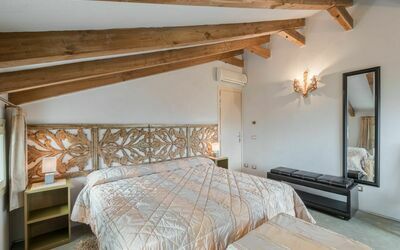 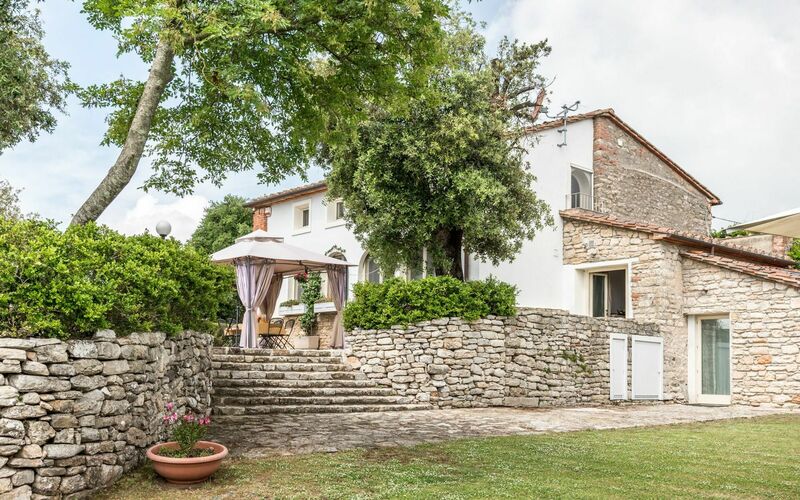 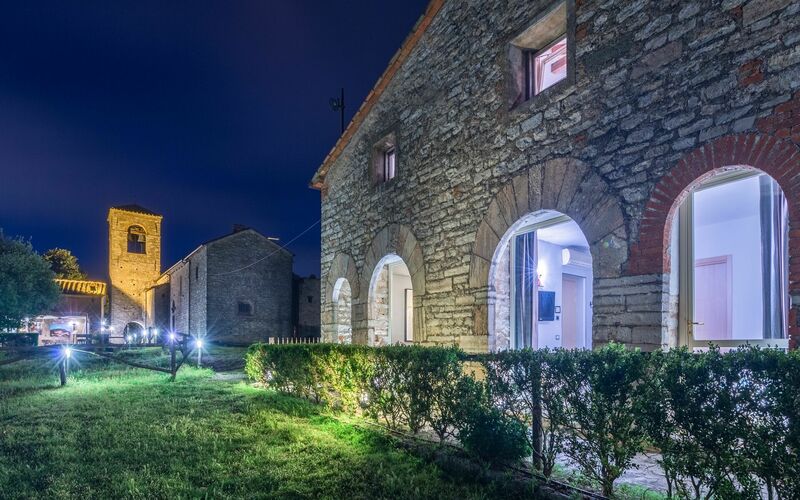 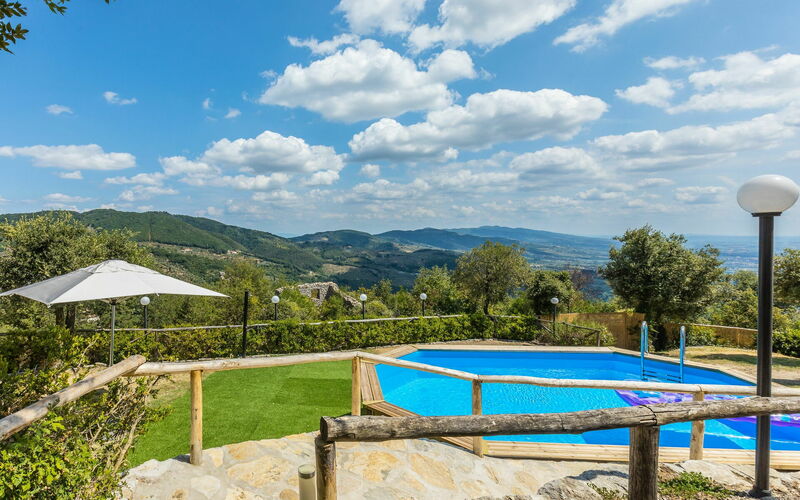 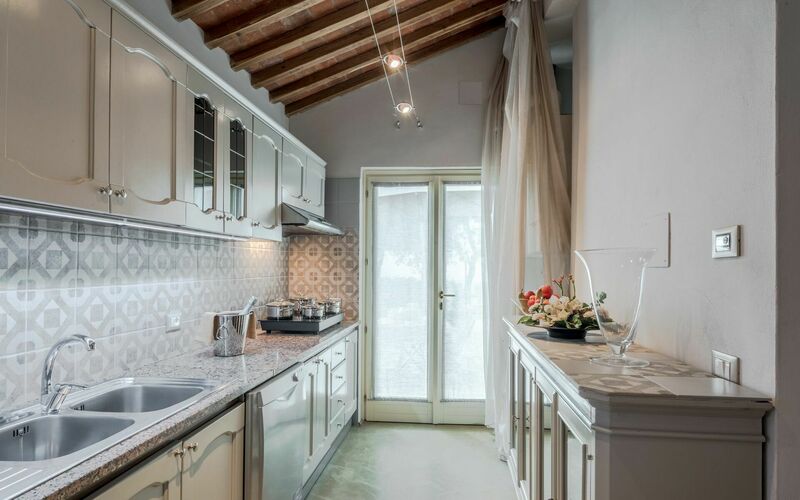 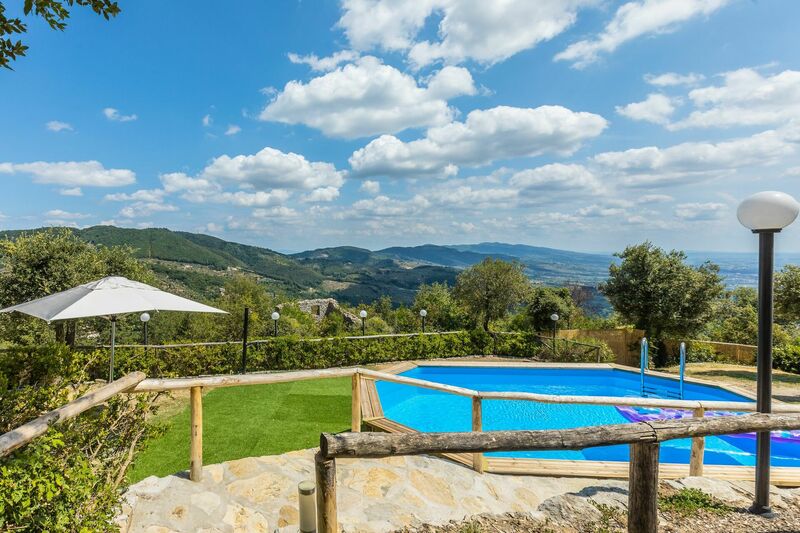 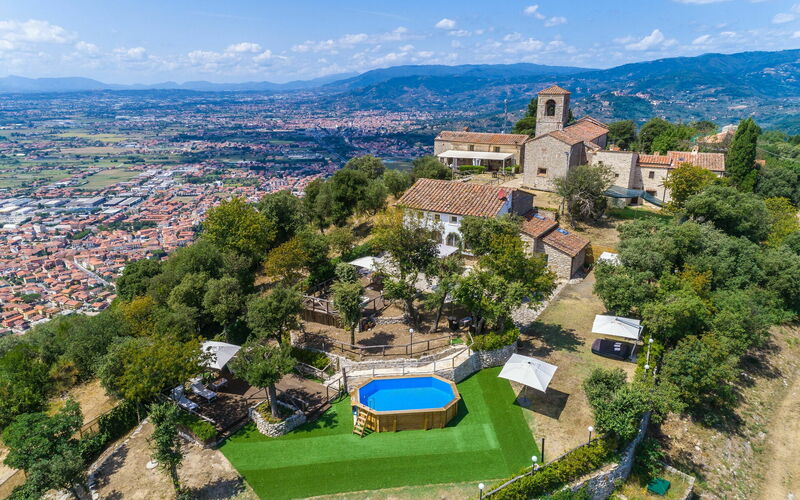 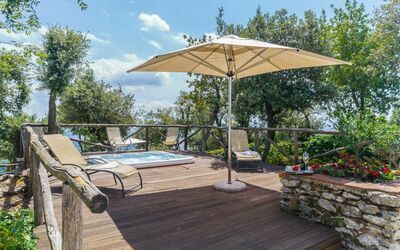 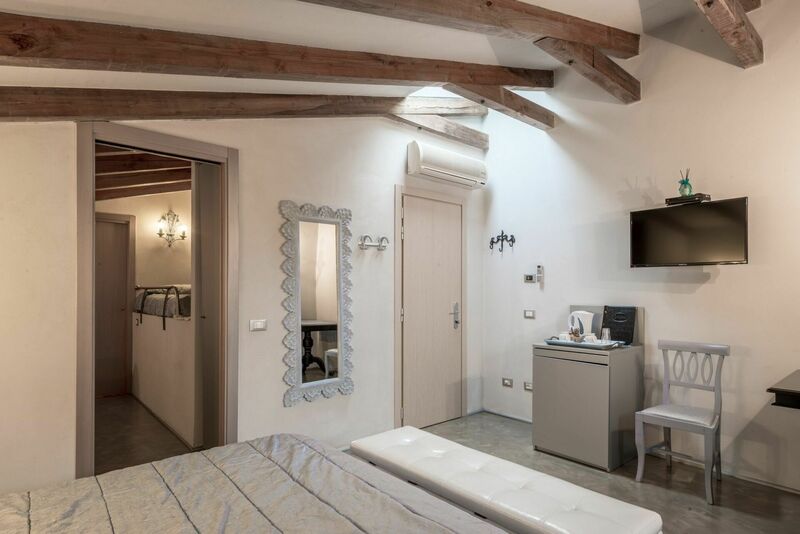 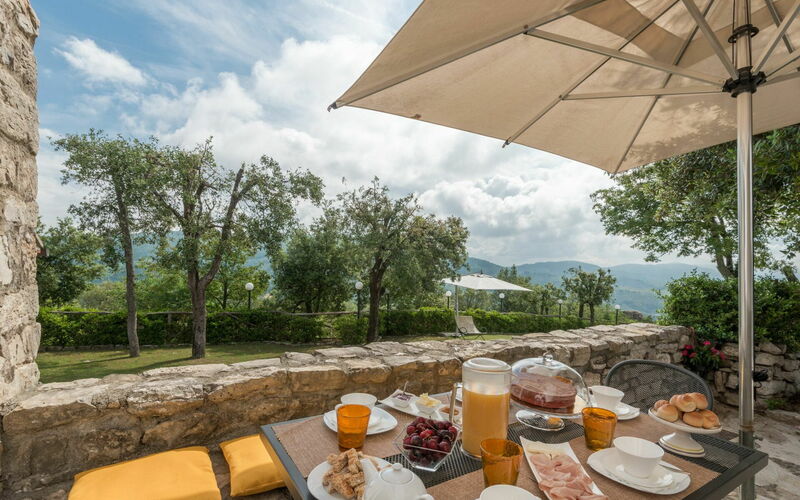 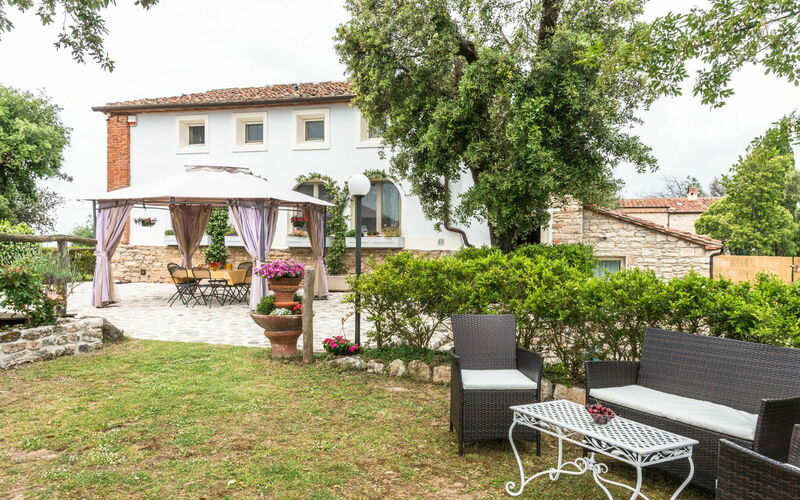 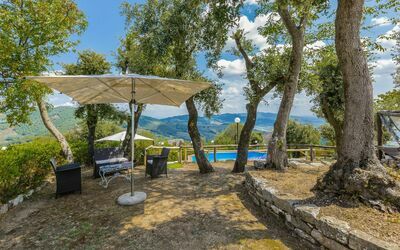 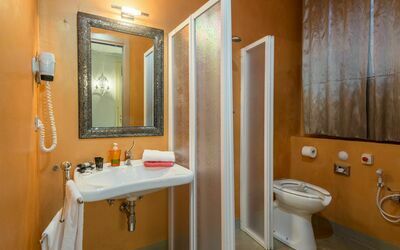 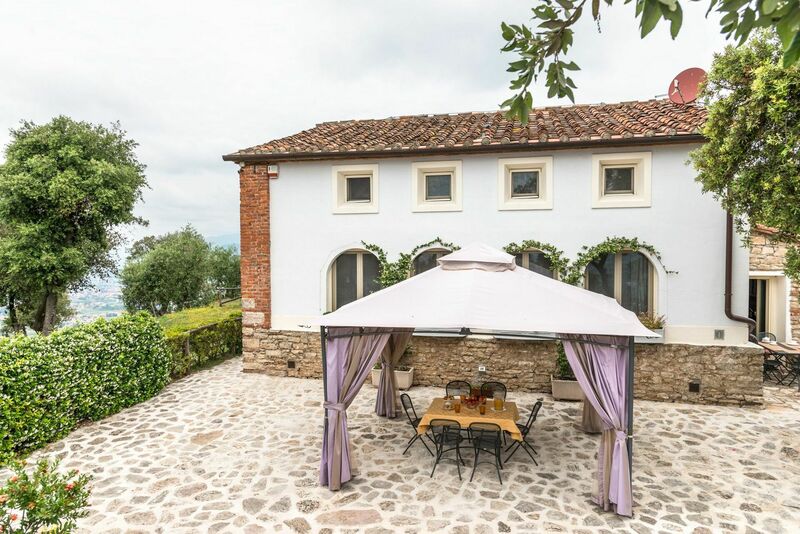 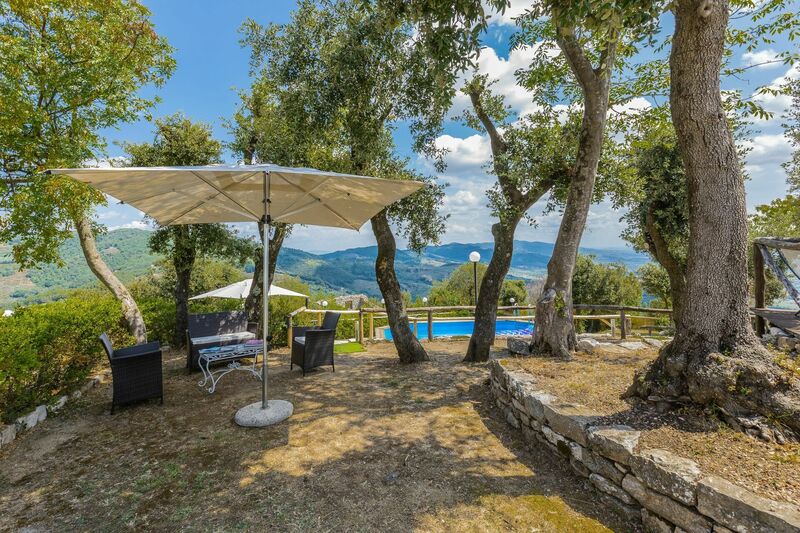 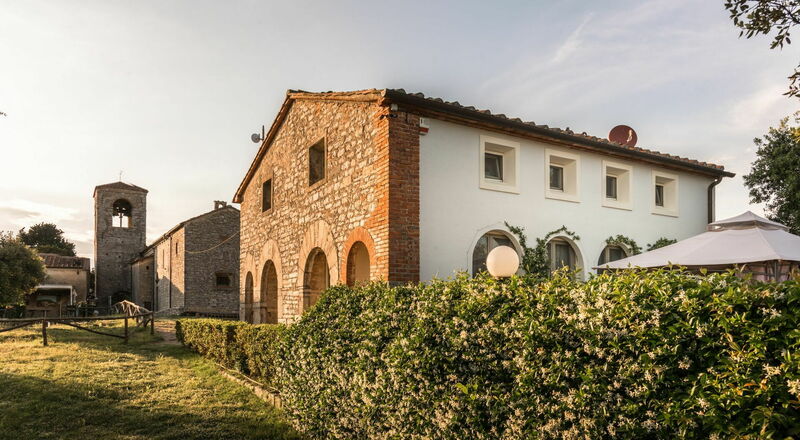 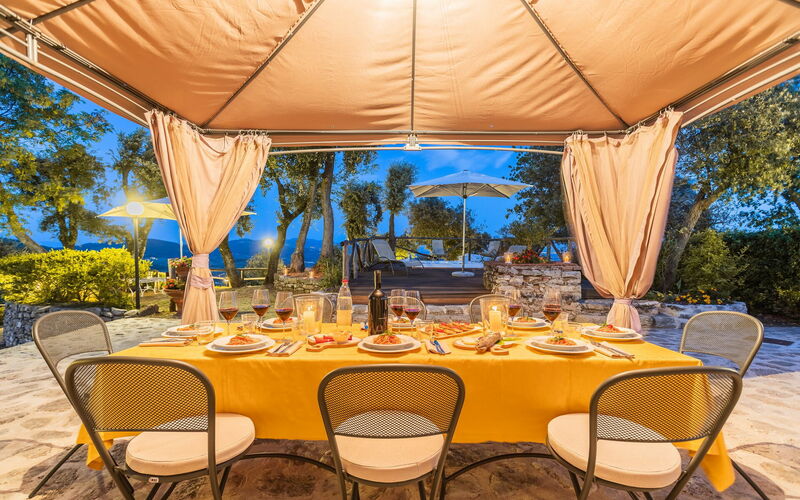 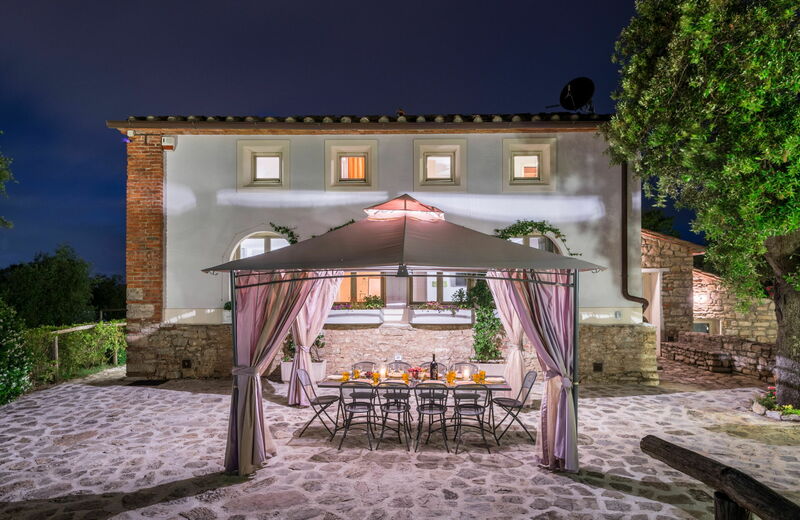 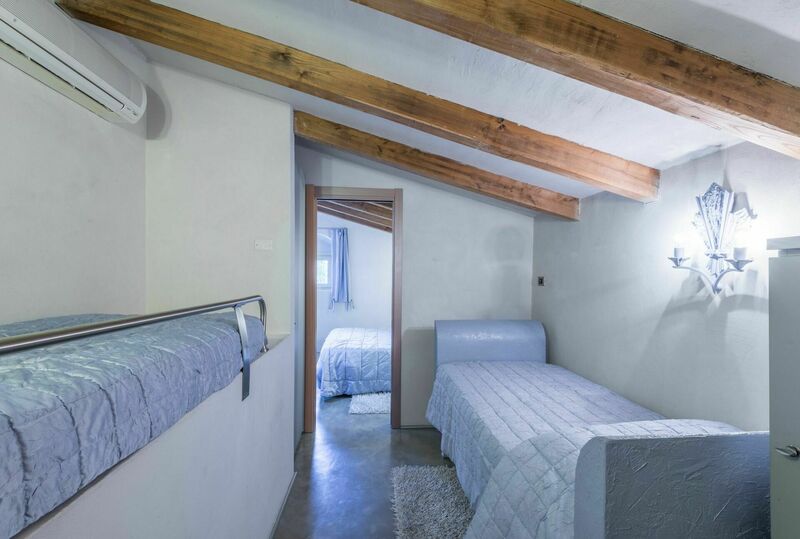 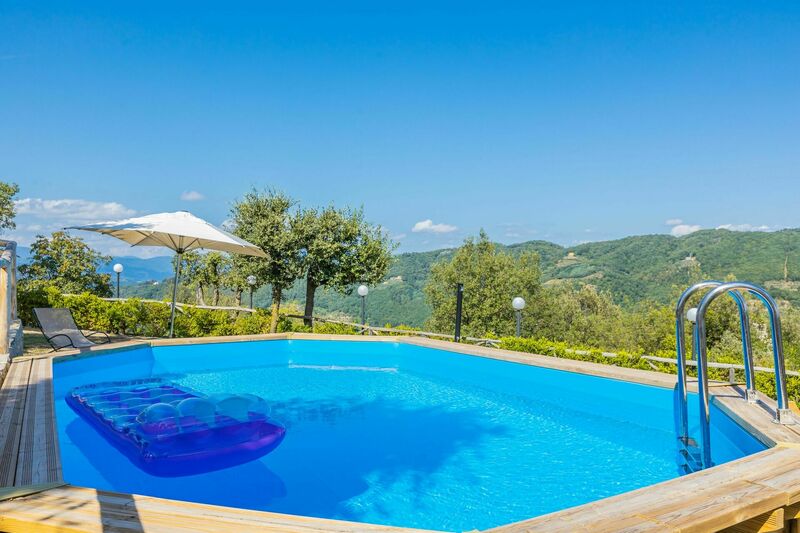 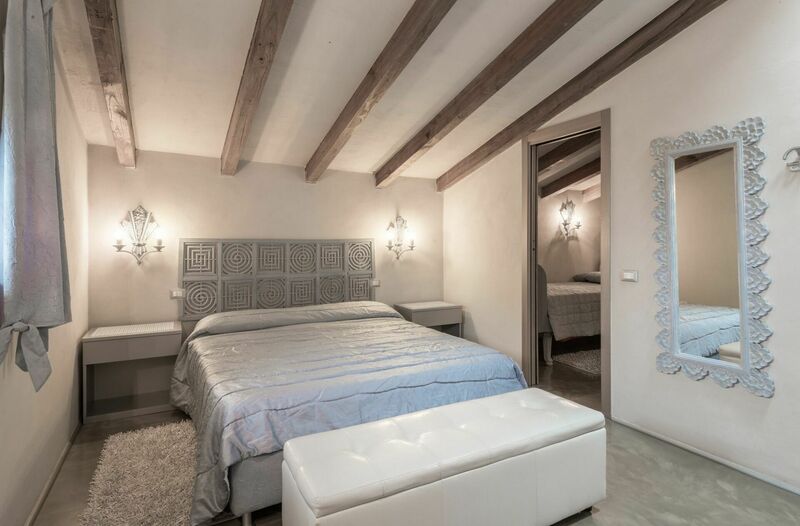 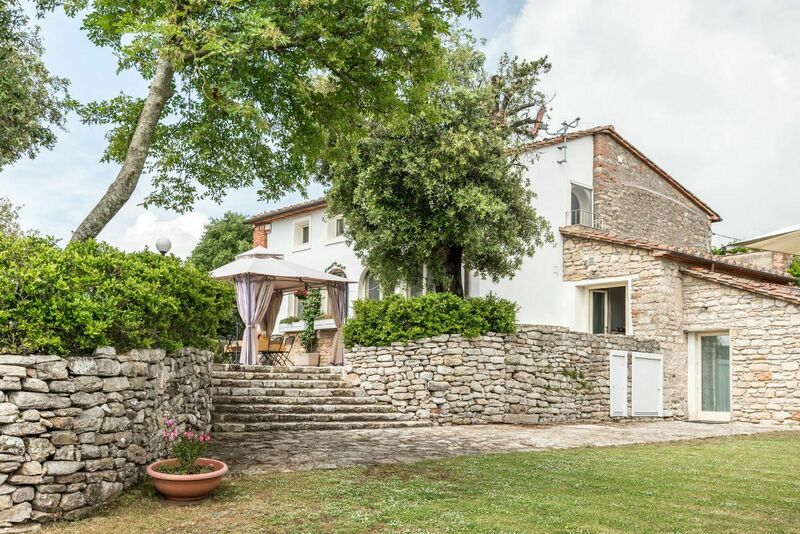 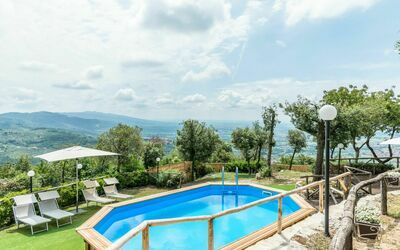 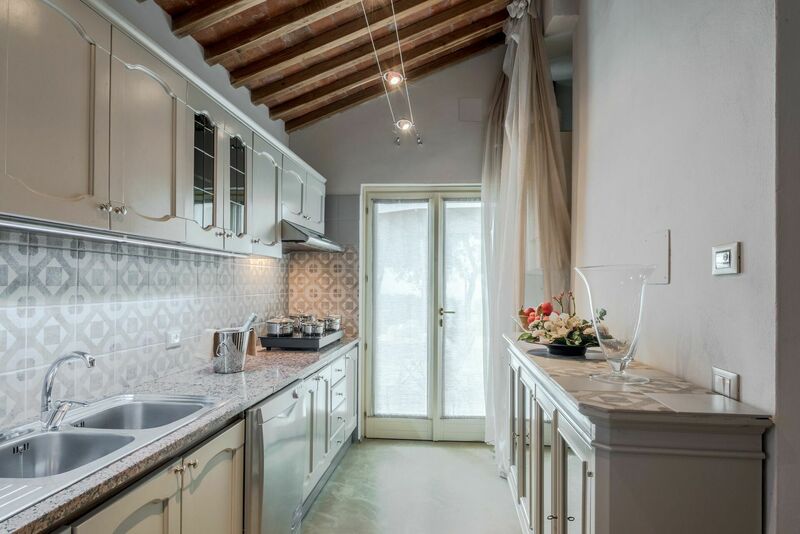 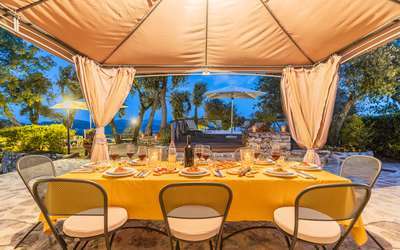 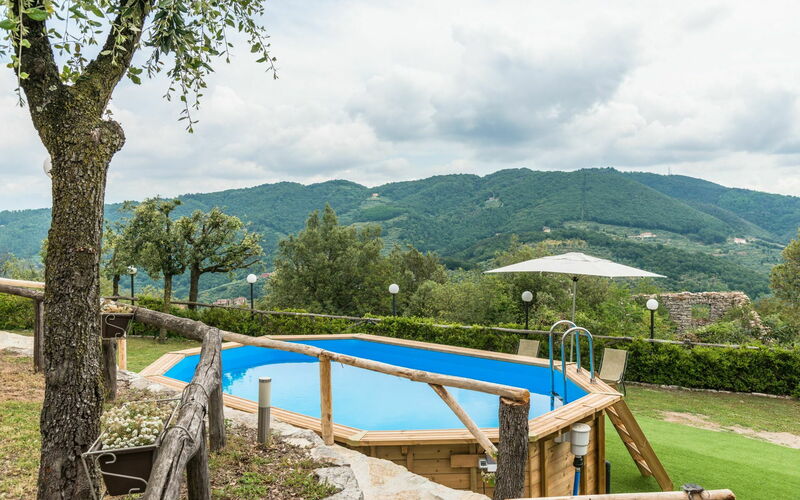 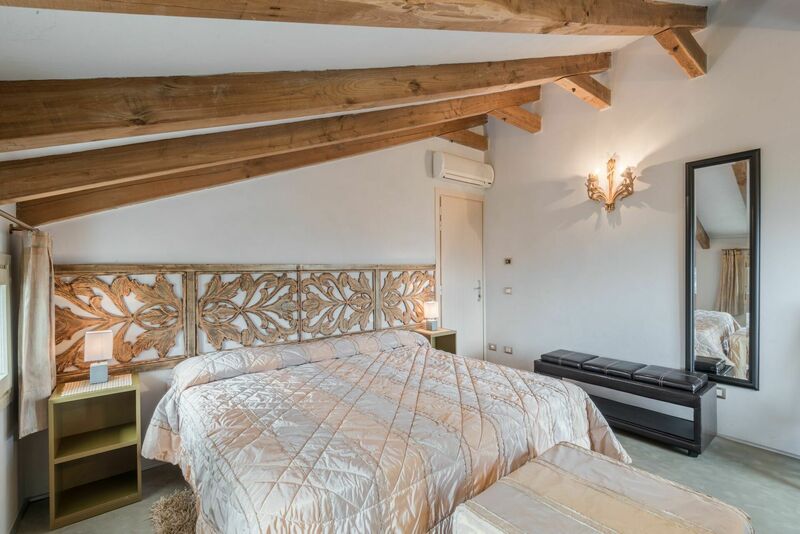 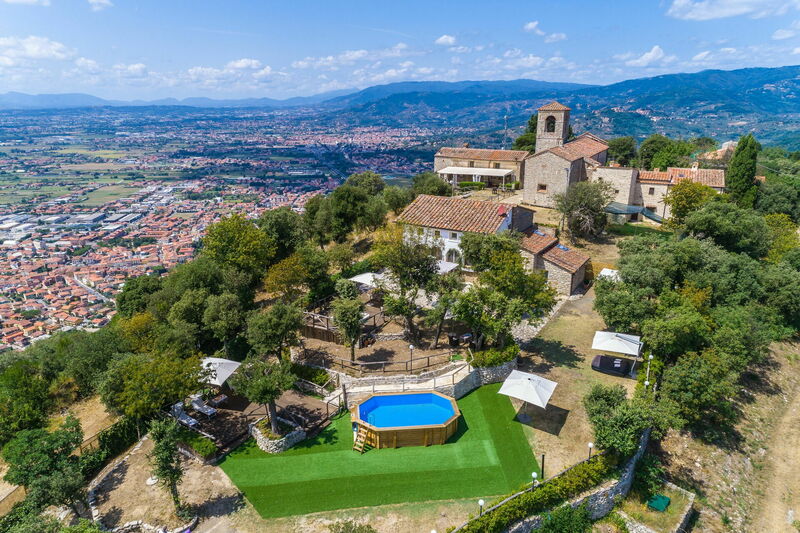 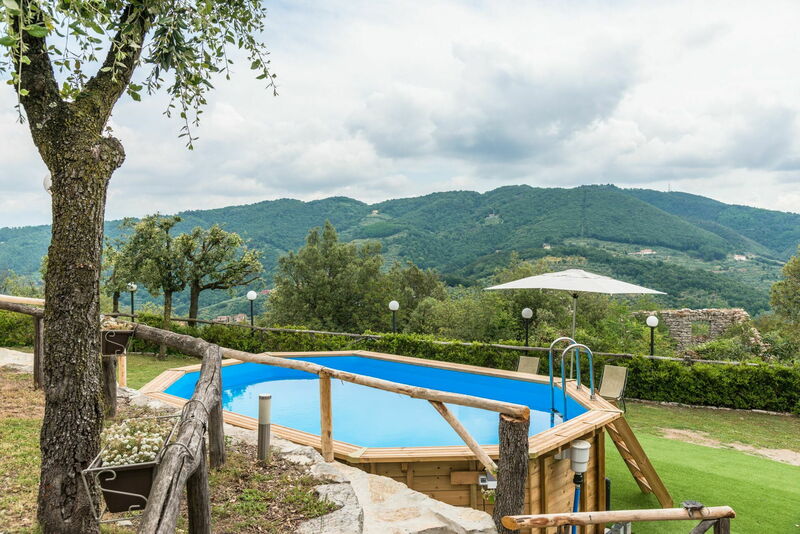 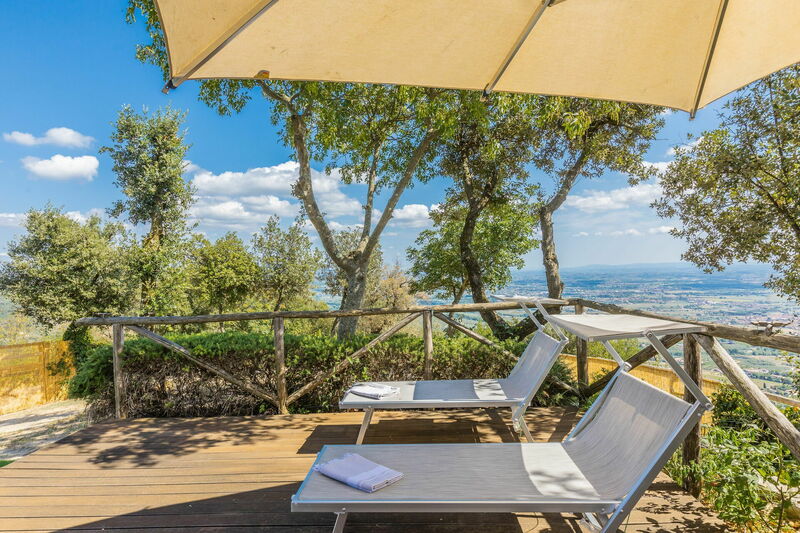 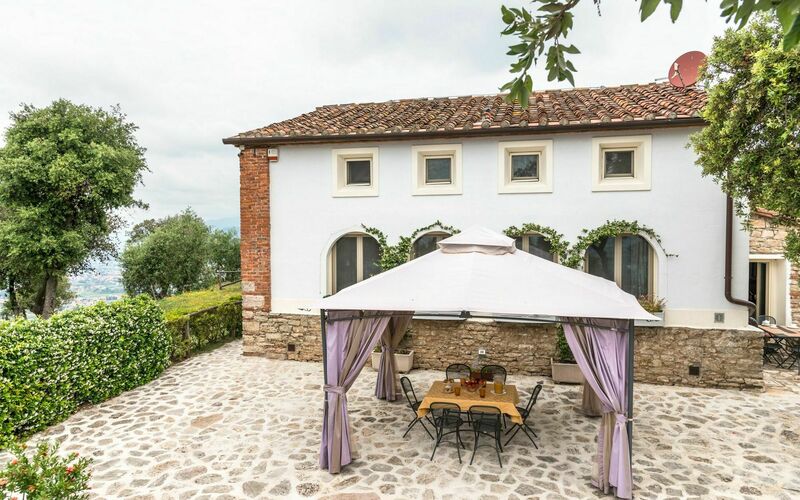 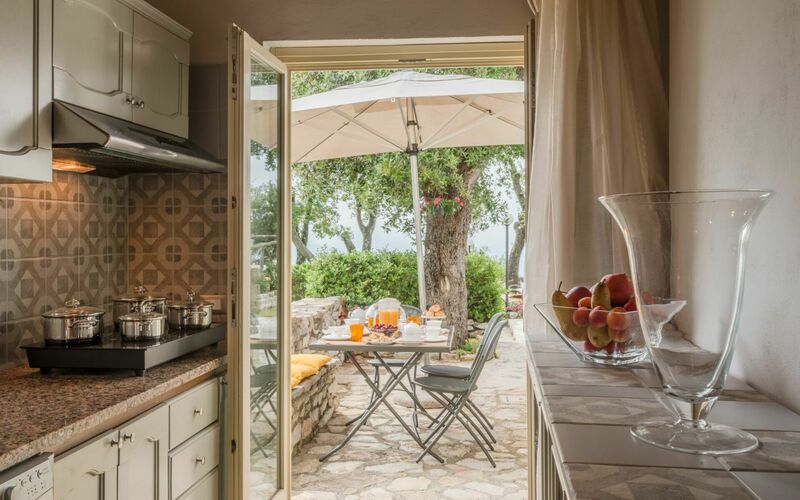 After arriving at Villa Del Santo Bastiano you’ll find a nice clean well-maintained property perfect for a relaxing vacation in Tuscany. For your enjoyment you will find a private pool where you can unwind while enjoying a nice cold beverage after a hectic day of sightseeing. 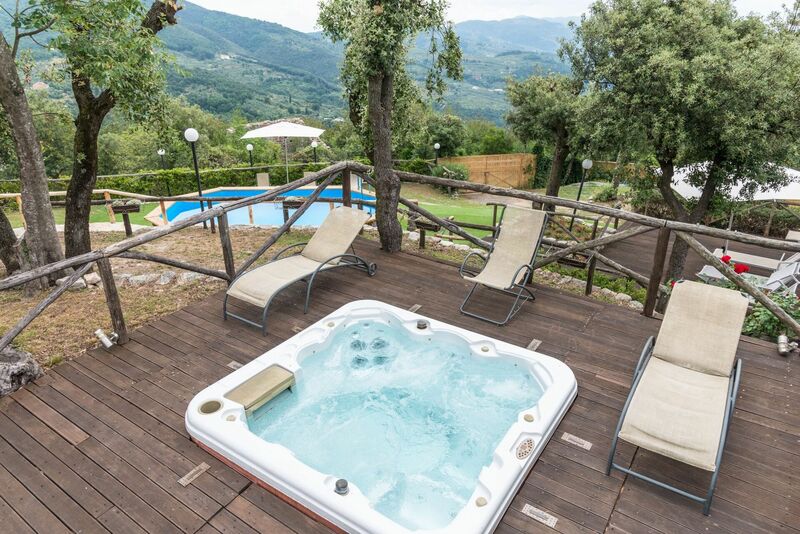 Outside you will also find a patio and hot tub. There are many close-by cities and towns that you can visit while on holiday, each one with its own history and culture that you can enjoy during your trip. 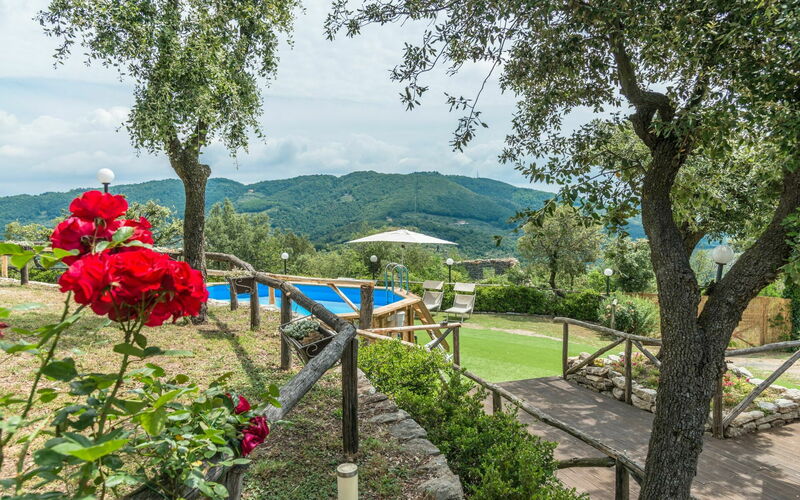 The highway is only 3 km (2 mi) from the villa and there is a train station 4 km (3 mi) away. 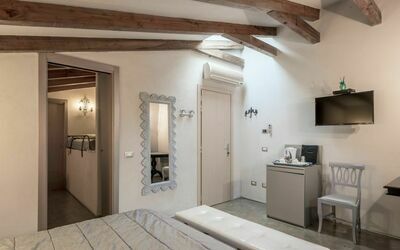 Nearest Airports: Firenze Peretola (Flr) 49 km (31 mi), Pisa (Psa) 65 km (41 mi), Bologna (Blq) 134 km (83 mi), Venezia (Vce) 288 km (179 mi) and Milano (Lin) 306 km (190 mi). Professional Chef - Are you looking for a real treat during your vacation? 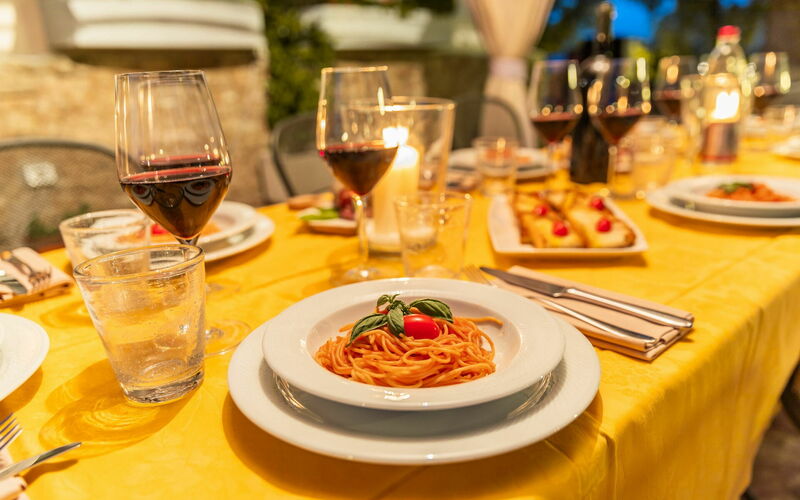 Why not book a professional chef to prepare and serve you a mouth-watering meal using local produce? 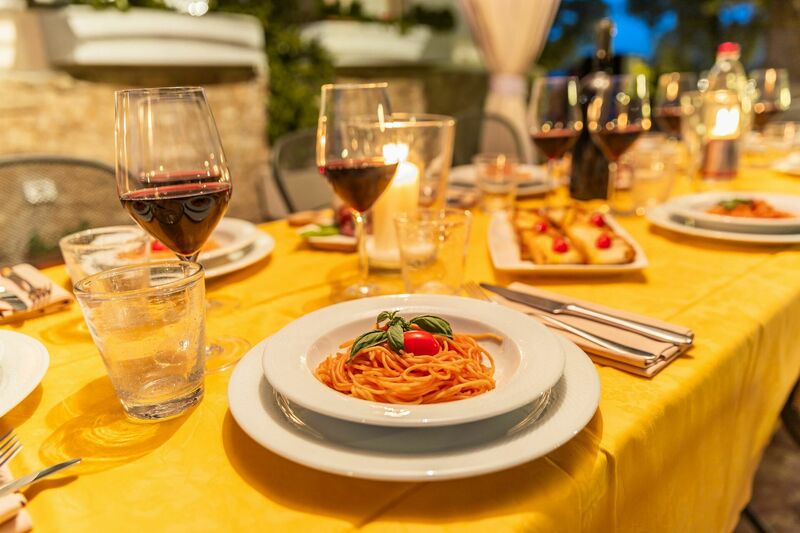 The chef will schedule the meal based on your preferences and dietary needs. The chef will offer suggestions for the various courses and the wine. 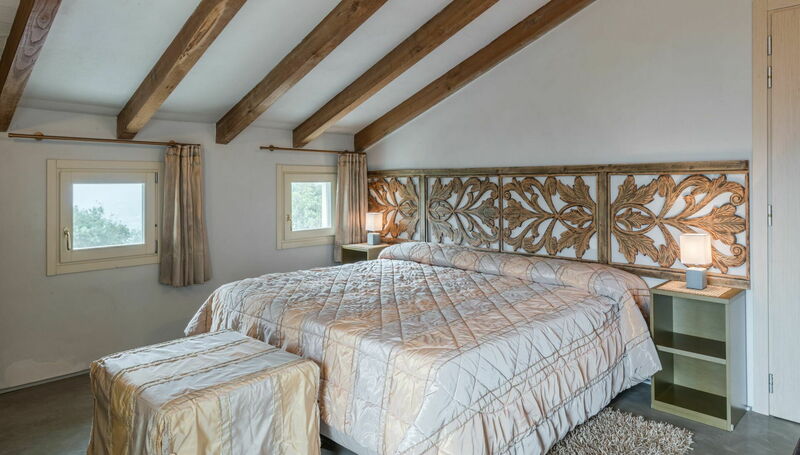 Ask for more details and the supplemental costs. 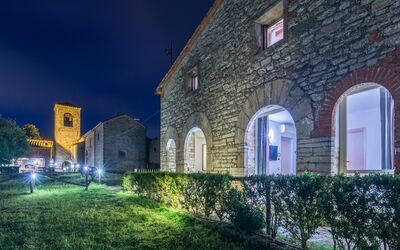 Power included up to 200 kwh/week; the exceeding consumption is charged euro 0,45 per Kwh.